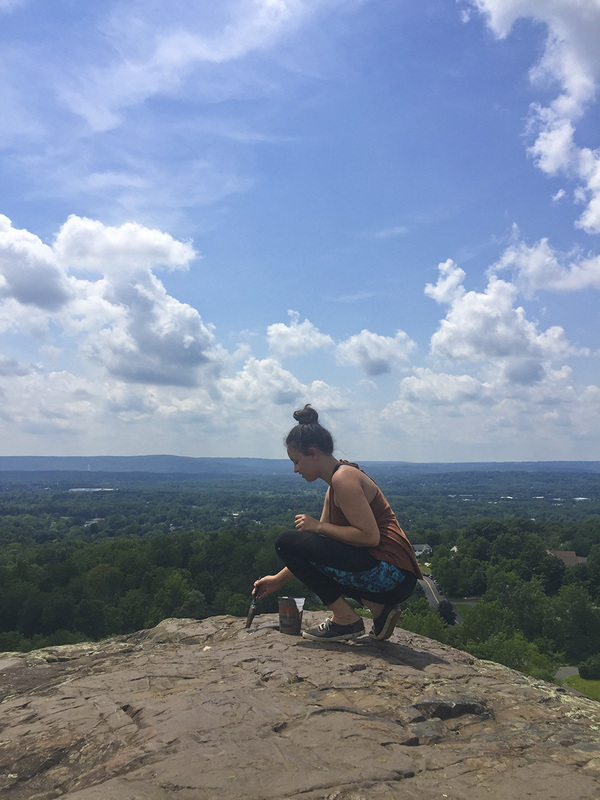 Stay up to date with the exciting work by the RMF. 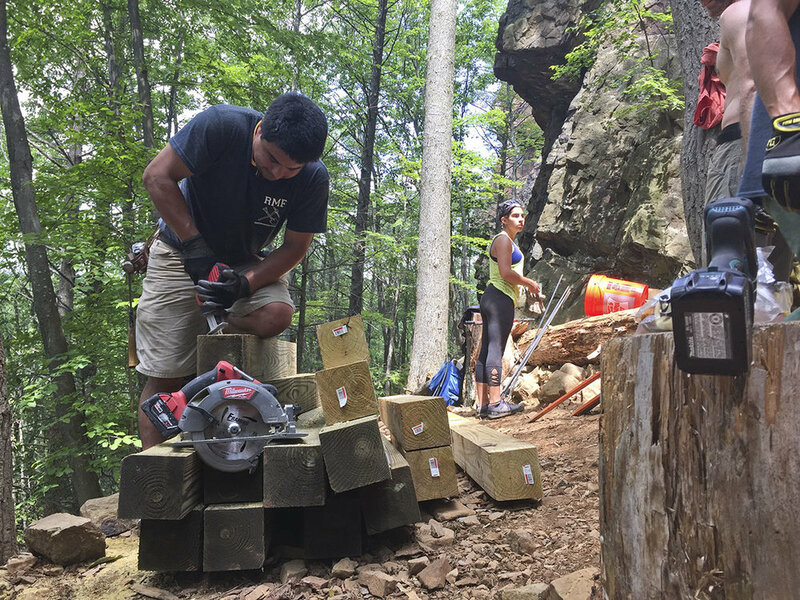 In July managers at Rock Climb Fairfield organized an Adopt A Crag at Pinnacle Rock as a community service day for their staff and members. 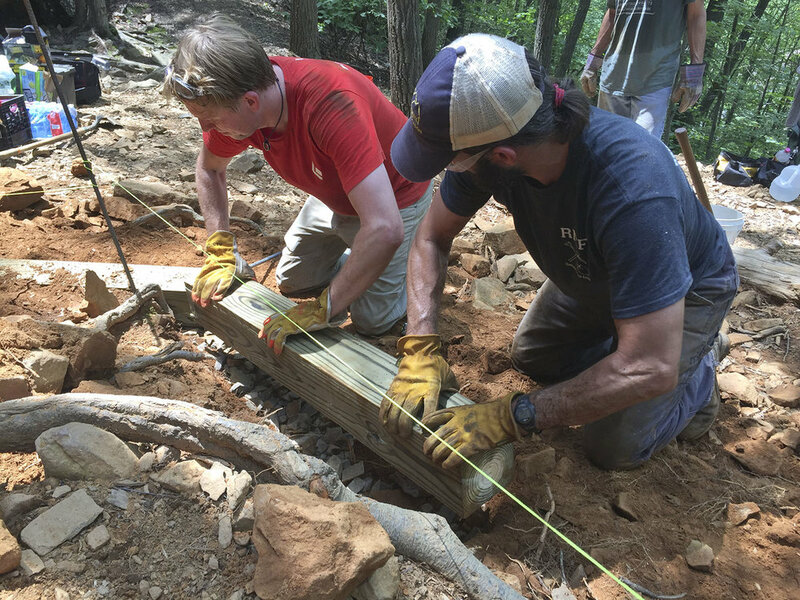 More than 15 RCF staff and volunteers from CT-AMC and the RMF Conservation Crew assembled to clean up trash, graffiti and construct a pressure treated lumber retaining wall at the base of Pinnacle Rock's Cracked Wall. 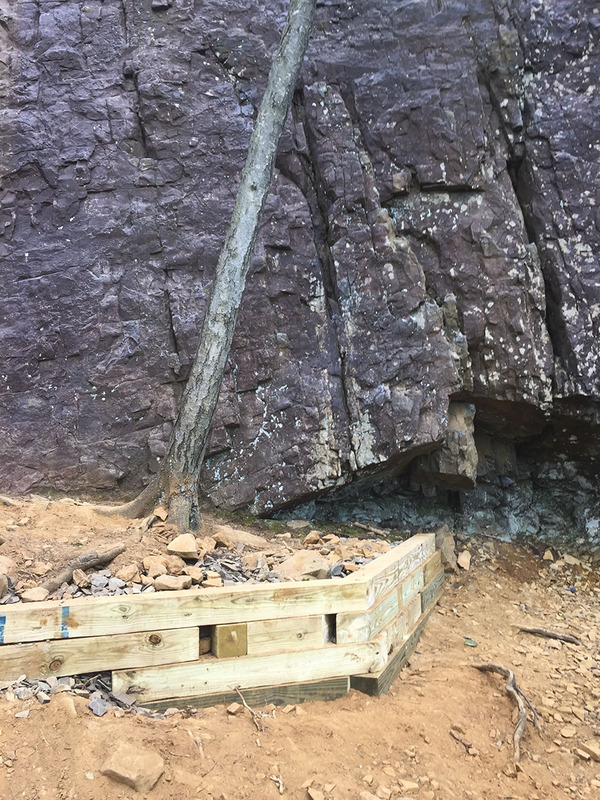 The new wall extends more than 30 feet from the base of Entertainer to just left of Second Crack, rising about 3.5 feet at its highest point. 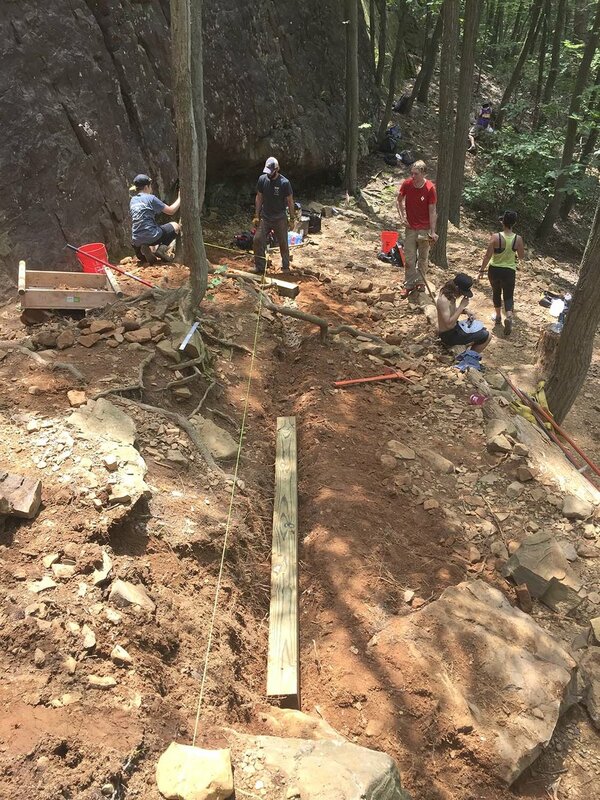 Our hope is that this wall will help slow erosion at the base of what is likely one of Connecticut's most popular climbing walls. 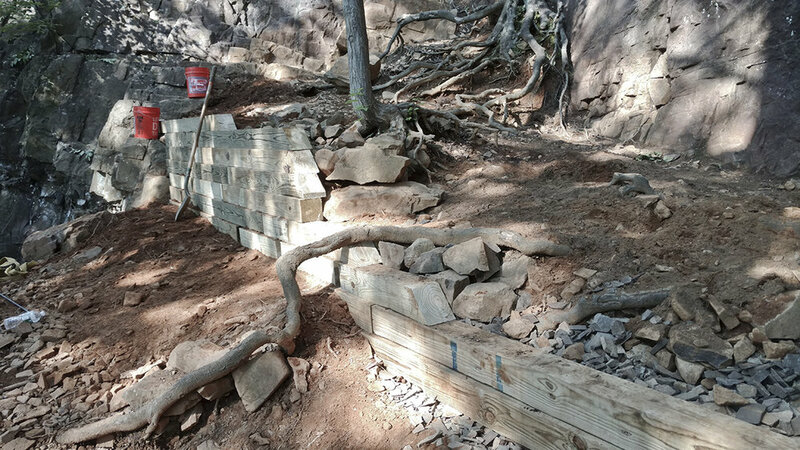 Volunteers were able to backfill behind the wall restoring some of the areas gravel and soil. 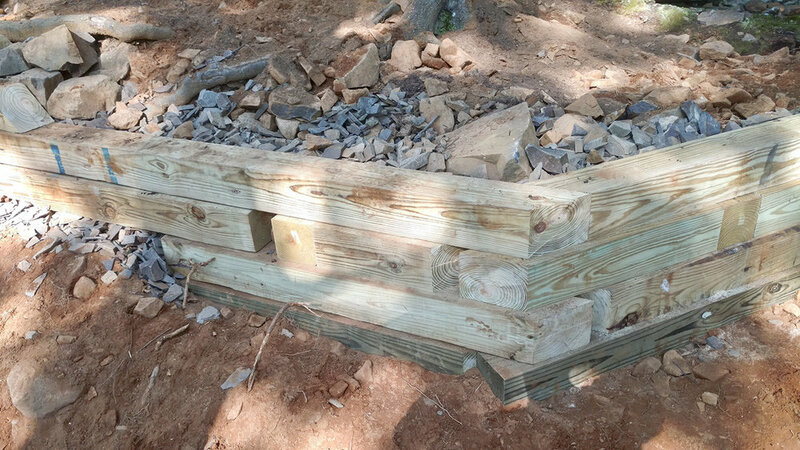 RCF staff and volunteers also removed garbage, painted over graffiti and deconstructed some large fire rings. 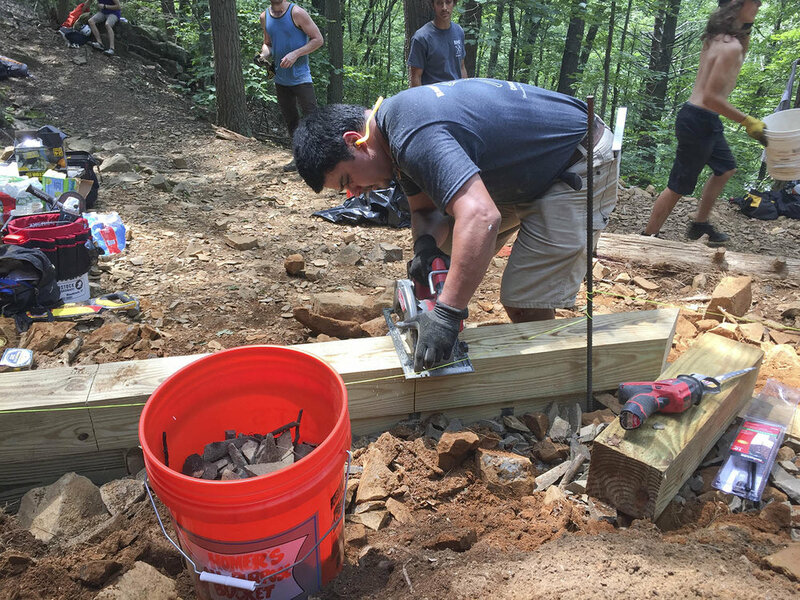 Many thanks to the staff and managers at Rock Climb Fairfield for organizing the work day and providing most of the human-power. Also thanks to the Access Fund for providing event insurance and to Kurt Zoner of CT-AMC, Chuck Boyd and David Bocchichio of the RMF. 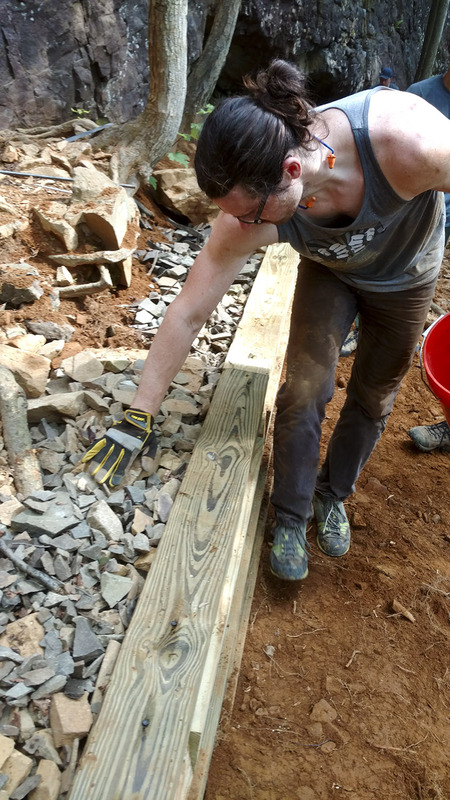 The Ragged Mountain Foundation provided funding for materials. 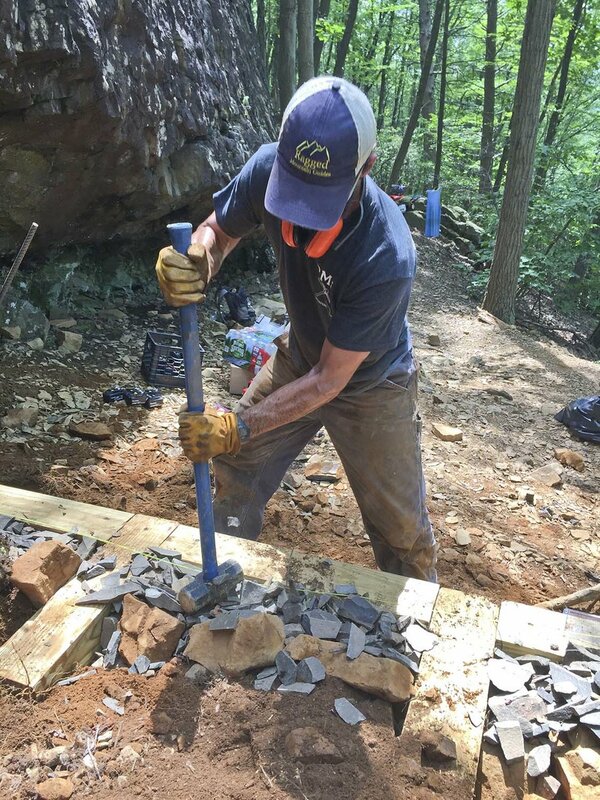 This is the first step in a project to harden the base at Pinnacle Rock. Future plans include building a second retaining wall below the Cracked Wall and relocating a portion of the south-end trail to a more durable location. 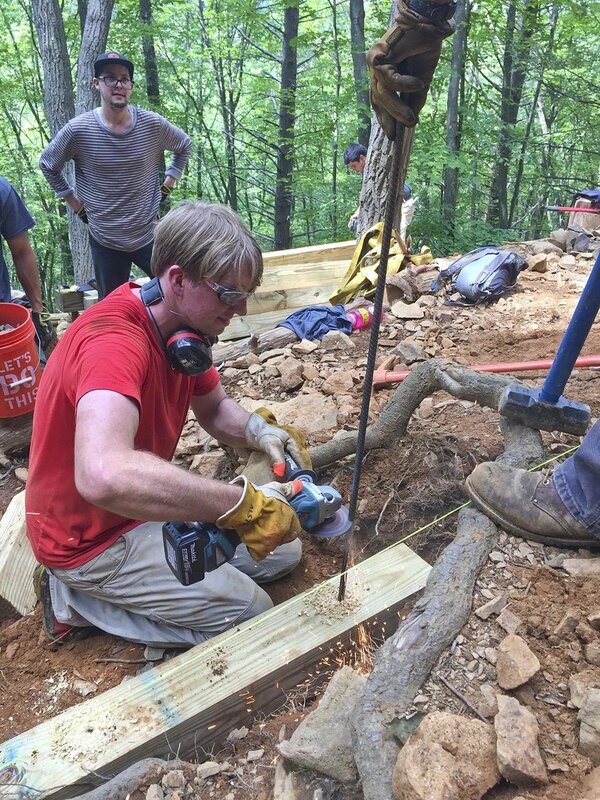 Please consider supporting the RMF by making a donation [donate here] or joining an RMF Conservation Crew event.